The 9th September 2016 (9-9-9) Portal will be strengthened by the entrance of Jupiter in Libra. Jupiter is traditionally called “The Benevolent Father” as it is associated to luck and expansion, but from the esoteric point of view this planet/God represents the connection between the heart and the mind in order to support us on the right path. The God Jupiter is the archetype of the wise adviser supporting us to achieve our highest potential and help us be where we are supposed to be at this point in time. In the last year Jupiter orbited through Virgo, the sign of Spirit hidden in matter, the star sign associated to olive and the body. In this sign Jupiter was opposite to Pisces, which it is supposed to rule, and for that reason it is said to be in detriment and suffer its own kingship. The name Jupiter means “God of the Sky, day-light, the shining one”. As we know, the planet Jupiter radiates its own power, it emits much more energy into space than it absorbs from the Sun and it has 63 moons and satellites revolving around it. The Greek linked the planet with the God Zeus, who was considered the light-bringer, while later the Romans called on Jupiter to preside over philosophy, religion and government. For this reason Jupiter has always been contemplated as the archetype of the wise adviser, pointing each of us toward our highest potential. He rules spiritual wisdom (according to the Greek mythology he swallowed his first wife Metis, the Goddess of wisdom, and in doing so he became wisdom himself) promoting the inner marriage between the Soul and the intellect so that our action may be guided accordingly. In his highest meaning Jupiter is the path-marker. As the governor of justice, he is the one that supports us in seeking the truth and morality, assisting us to follow our vision and take a leap of faith. 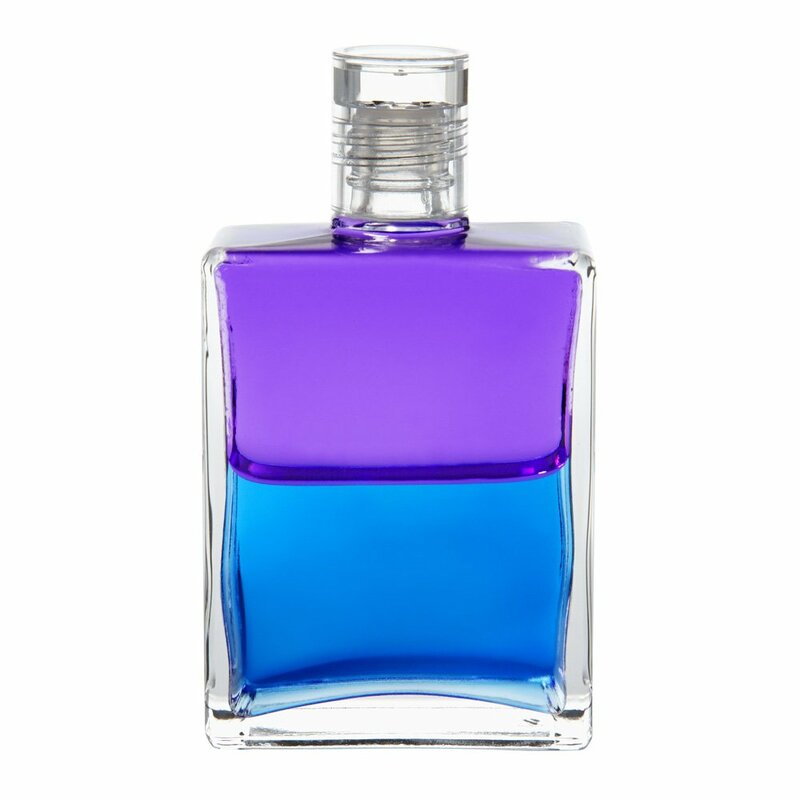 Traditionally he has been associated to blue and purple, the colours related to the Higher self (blue) and to spirituality (violet). The last New Moon in Virgo, occurred on 1st September, highlighted the fact that the forthcoming month would have brought to the surface the inner truth and that we would have had to face and acknowledge it within ourselves in order to leave the past behind and move to the new. When Jupiter, the light-bringer, was in Virgo, he started to uncover and reveal in us the inner light, the truth about who we truly are. But in Virgo we lived it as something growing within that we could not truly understand; the soul and the personality started to face each other and we experienced this reality as an internal conflict between the inner and the outer – the light was trapped in matter (the body and the material aspect of life) and it could not be expressed or released. The entrance of Jupiter in Libra portrays a completely different landscape. 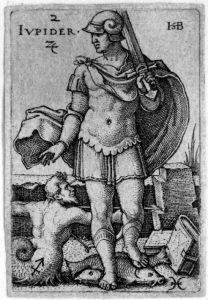 Libra relates to a time of interlude, a time of assessment of the past, where the balance of the pair opposites is sharply defined. 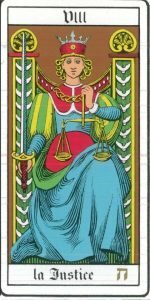 From the esoteric point of view Libra is associated to the tarot card VIII, The Justice, and the House it rules is related to the inner marriage between the personality and the Soul. 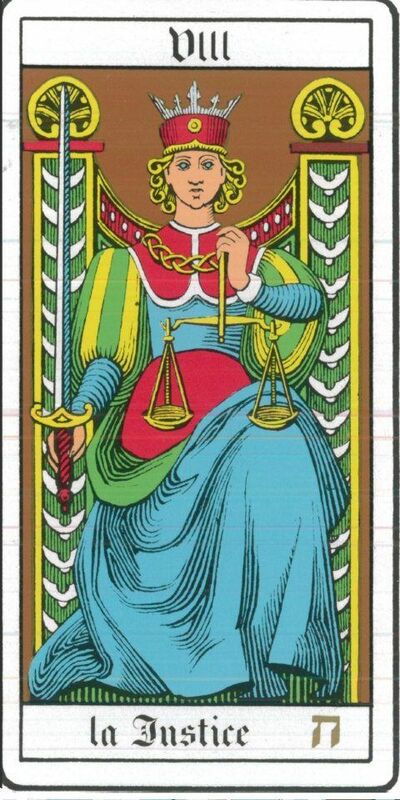 Libra is the first sign that has neither a human nor an animal symbol, except that holding the balance stands the figure of justice. Justice is depicted as a blinded woman, blinded to the outward objective sight because it is only the inner intuitive sight that may divine where justice lies. Libra is green and it talks about regeneration, decision-making, panoramic awareness and searching for truth. Jupiter is associated to the Tarot card X, The Wheel of Fortune. In the esoteric tarot pack, this card is called “The world is illusion” and it symbolizes the conscious life rising out of the green primordial waters. This means that all the experiences that we have gathered in the cycle from 1 to 9 are revisited and, as we die to that cycle, we rise into a new one. Jupiter, therefore, marks and supports the 9-9-9 Portal Gateways and the process of rebirth as it also enters Libra on 9th September 2016 (9-9-9) where he will orbit for a year. The message of the tenth card is “The force is with you” and there is nothing else to hold onto, which means that we are in the process of finding the courage to be born. 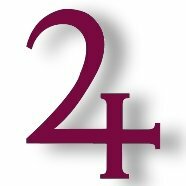 The Jupiter’s glyph is the crescent of spirit (the semicircle surmounting a cross) anchored in the cross of time and space (matter), symbolizing his role of raising our awareness beyond the physical world by receiving the illumination from above. For this reason Jupiter inspires us to seek a mission greater than ourselves and his house and position in the chart are clues to following that path. 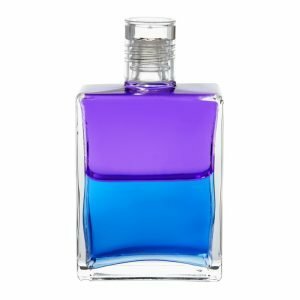 In the Aura-Soma® colour-care system Jupiter is associated to bottle B37, violet over blue, The Guardian Angel Comes to Earth. This bottle talks about a very transformative message coming from above in relation to who we truly are. The Guardian Angel, the light that we are, may be also interpreted as the truth of the soul. Until we can witness life from the highest intelligence of the soul, none of us can be in complete truth. The truth is in the process of be revealed and rise to the surface so that we can be set free from the limitations of who we thought and we have believed we are.